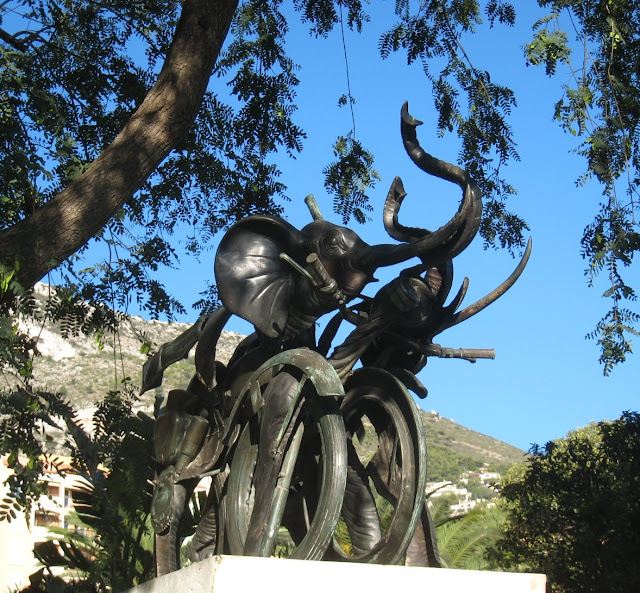 This sculpture by Arman, created in 1988, stands in the Chemin des Sculptures in the gardens of Fontvieille. Arman (Armand Pierre Fernandez) an American, was born in Nice in 1928 and died in 2005. You can read more about this celebrated artist HERE. How interesting!! Elephants on bikes. I guess if Dumbo can fly with his flapping years, why can't these elephants ride the bicycles.